Bodum offers a fun and functional product for your deck, patio or yard. The Fyrkat Cone Charcoal Grill ($TBA) is a compact grill designed to produce tender and juicy meat, seafood and poultry. 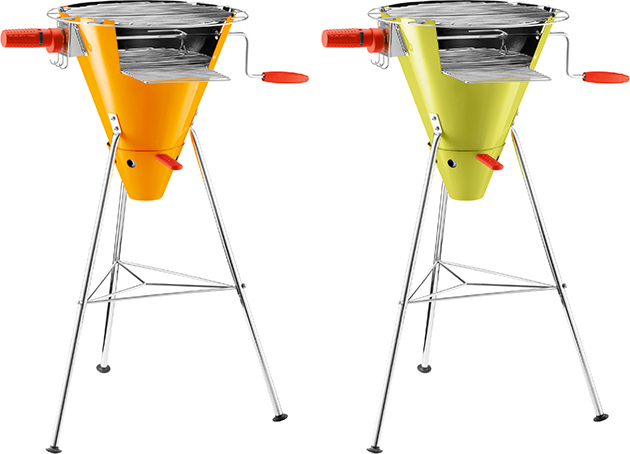 It features a conical design made of enamel-coated steel, stainless steel spit rod that can be turned by hand or by the integrated battery-powered electric motor, two cooking grates and steel legs with rubber footing.